Home / Southcoast News / Health+ / Are Your Legs Ready for Summer? Are you ready to take those shorts and sundresses out of winter storage, or are you hesitating because you don’t like the look of your legs? As we age, we may begin to notice the appearance of varicose veins on our thighs and lower legs. We don’t like how they look, but more importantly, they also might be a health concern. For many years, varicose veins were considered to be only a cosmetic problem. More recently, however, vascular specialists recognize varicose veins — and the symptoms that come along with them — as risk factors for the development of chronic unsightly skin changes. In normal veins, tiny valves close as blood is pushed upward toward the heart. In abnormal veins, those valves become weak and don’t close properly, allowing blood to flow backwards and cause high blood pressure in the veins. Ultimately, this causes the vein walls to bulge. If left untreated, the poor blood flow can lead to problems, such as swollen or achy legs, cramping and heaviness, itching, or open sores (also known as ulcers). Fortunately, vascular surgeons at Southcoast’s Vein Center can treat diseased varicose veins, restoring health to your legs. Vein Center specialists have a new minimally invasive treatment called, VenaSeal, to address thick, ropy varicose veins. Using ultrasound imaging to guide placement, the physician inserts a small catheter under a single injection of local anesthetic. Then the physician will apply a small amount of FDA-approved medical adhesive at selected sites inside the vein, effectively closing the vein. Blood that is returning to the heart from the lower leg is then redirected into healthy, nearby veins and no longer pools in the legs causing pain. 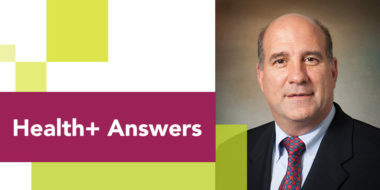 David Gillespie, MD, RVT, FACS, chief of Endovascular and Vascular Surgery at Southcoast Health, says that this new system has advantages over other ways of treating varicose veins. All procedures are conducted in the spa-like atmosphere or Southcoast’s state-of-the-art vein center in Dartmouth. Dr. Gillespie reports that patients do not even require over-the-counter pain medications after the procedure. 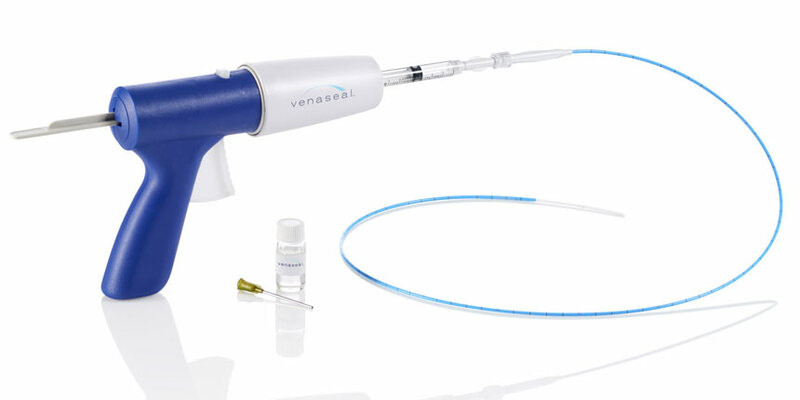 With little to no pain and a virtually instant recovery, the VenaSeal system is a significant advancement in treatment of chronic venous insufficiency for appropriate patients. If you have concerns about varicose veins or other vascular problems, such as deep vein thrombosis, pelvic congestion syndrome or phlebitis, contact the Vein Center at 508-973-2213 to schedule a consultation. 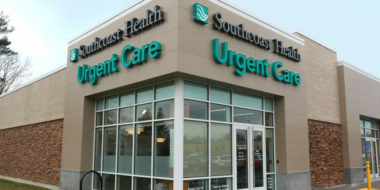 To learn more, visit Southcoast’s Vein Center.